You may know Reno as the city where bumbling police officers were depicted on Reno 911. You may know Reno as the city where Johnny Cash sang about shooting a man, apparently just to watch him die. You may know Reno as the city you drove by on your way to scenic Lake Tahoe or much more likely, where your car broke down after Burning Man and you spent a night in a shady hotel cursing at the smoky air and your damn luck for spitting you up here, in this pitiful place. As a Reno local, born and raised, having traveled abroad and across the United States, I do a lot of explaining about where I’m from. When I say “Reno, NV” as a polite stranger ponders my origins I wait for the inevitable sad “Oh” or the “Huh” as if they can’t help but feel sorry for me. The image they have in their head of what growing up in Reno, NV must have been like is vastly different than mine, and it's the reality of living in a great city with a bad reputation. Occasionally, a stranger will tell me they’ve been to Reno and explain they spent a few nights in a Casino there, maybe they have foggy memories of a river downtown. Visitors who stay in the downtown casinos inevitably get trapped inside. These windowless, clockless prisons are designed for you to forget about the outside world and spend your time and money in every slot, restaurant, bar, and shop the casino has to offer. A part of me dies knowing these visitors will never hear of the local legends of Wilbur D. May, an Indiana Jones-like traveler and heir to the Double Diamond Ranch dynasty who requested an arboretum be built upon his death. They’ll never know that Reno’s best breakfast secret is a breakfast burrito from the Great Basin Co-Op, that there’s a bird sanctuary just 20 minutes from downtown, or that there used to be a lanky guy with a patch taped over one eye who would skateboard around town in elbow-pads that we’d all lovingly call Skateboard Joe. 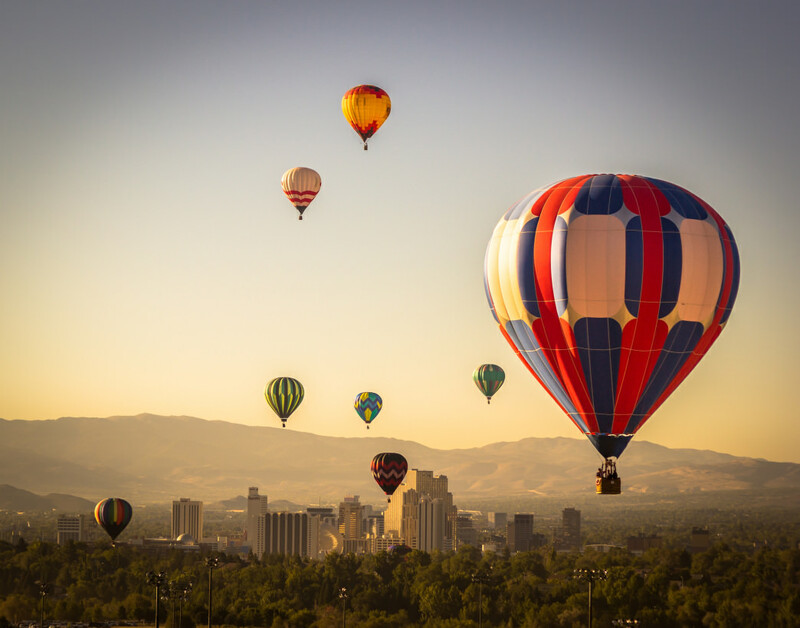 The great things that Reno has to offer like its outdoor access, historical bars, and arts and culture have nothing to do with its casinos. Reno is surrounded by vast public land and hidden pockets of wonder like the Jones/Whites/Thomas Creek Trail area where the desert transitions into forests of pine and aspen or the Orphis Creek Trail where hikers encounter a waterfall, deep ravines, and shady stream crossings. 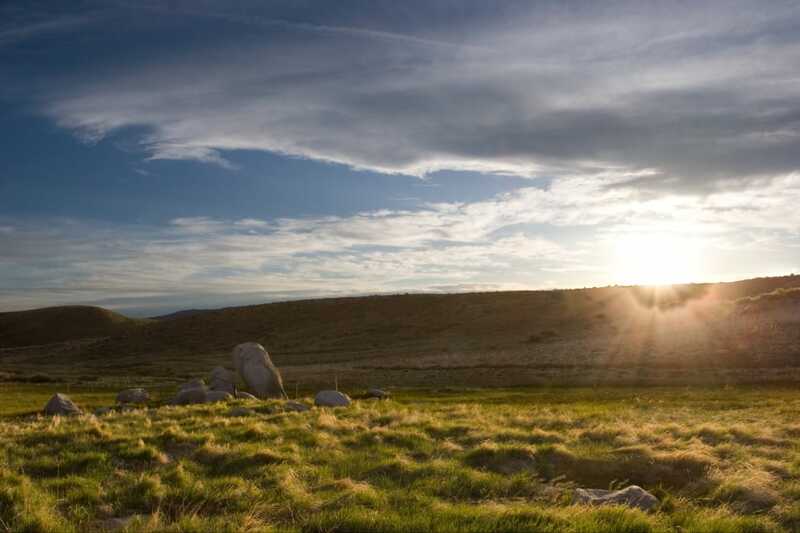 For mountain bikers, Reno offers the Peavine Trail area with incredible single-track, including the 2,000 foot climb to Peavine mountain, the 8.8 mile Halo-Crispy Bacon Loop, and the 1.8 mile Stage Coach Trail. Reno has great access to fishing on the Truckee River and the Carson River, one of the West’s last free flowing rivers and a favorite fishing spot of Mark Twain. Visitors can take a day trip to Pyramid lake, a world-class fishery and desert lake known for kayaking, stand-up paddleboarding, and boating. 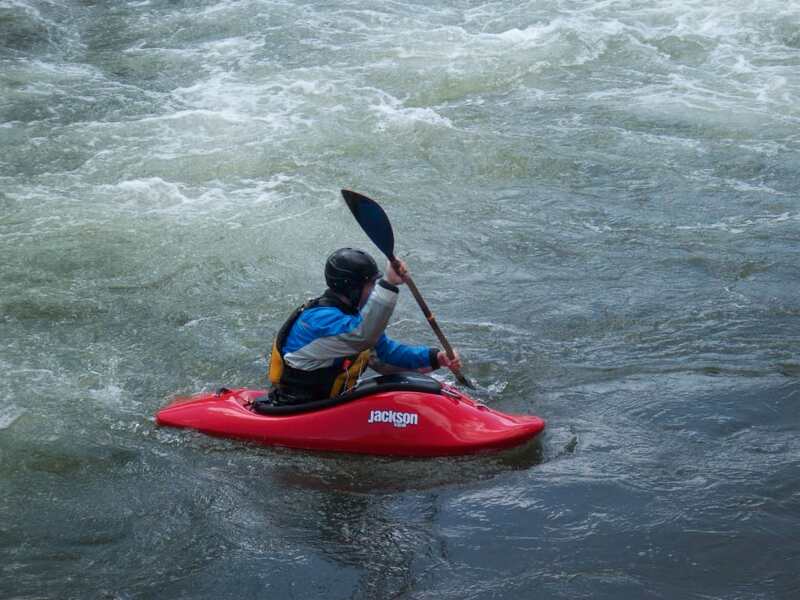 The Truckee River Whitewater Park is home to the annual Reno River Festival and attracts both beginner and advanced kayakers to play in 1,200’ and 1,400’ channels and maneuver around rocks and boulders while fish swim in the clear waters below. You can also rock climb the tallest climbing wall in the world at Basecamp at Whitney Peak Hotel. And of course, Sierra gems like Lake Tahoe and Donner Lake, are only short drives away. In Reno, you can explore all the benefits of outdoor fun while enjoying dynamic city life, including awesome restaurants and historical bars. You may not know that Reno is the self-proclaimed All-You-Can-Eat Sushi Capital of the World. You can thank the casino industry, who pays to fly in fresh fish from the California Coast, and in the process, provides local sushi restaurants with steep discounts when they order too. Stop at Hiroba Sushi or Sushi Pier 2 and feast on raw goodness like a local. Reno-ites love the "Battle Born State" and cherish October 30th—the day Nevada was granted statehood—by enjoying a long weekend when businesses and schools shut down for the holiday (mostly to prepare for the Annual Zombie Crawl, listed as USA Today’s Top 10 Halloween Costume Parties). And Reno’s bars are a testament to this love, as they showcase a unique and eclectic mix of local haunts ranging in character. Take the 1864 Tavern, for example—a Nevada history-themed bar, with velvet wallpaper, victorian couches, and mixologists serving unique and sweet cocktails; or the Lincoln Lounge, an Abraham Lincoln themed bar, honoring the president who granted Nevada statehood, where college students frequent for Soul Night every first Friday of the month. Reno is also the scene of a burgeoning art scene, spurred by the Nevada Museum of Art, which is home to 2,000 permanent works of art and which is a cultivator of the Center of Art and Environment; The Holland Project, which is a concert venue and gallery space for budding artists; and Art Town, a month-long series of 500+ free arts & culture events like artist workshops, concerts, and movies-in-the-park. 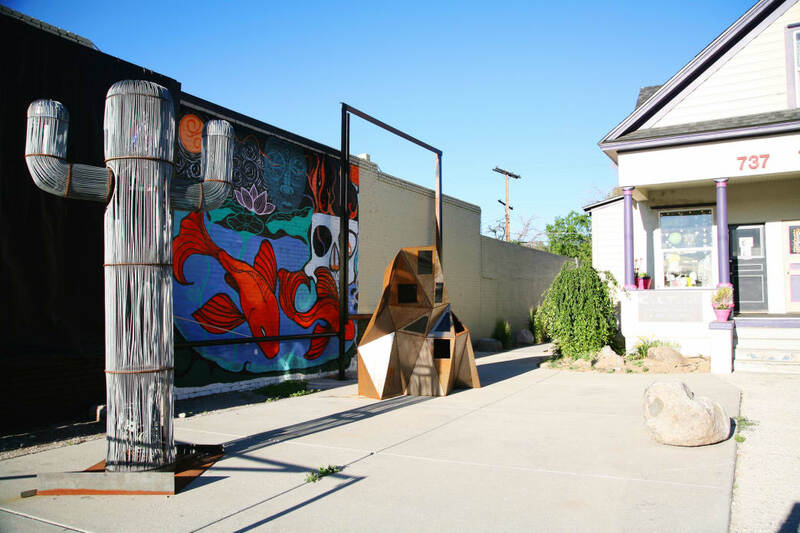 The famous Burning Man Festival that takes place in the nearby Black Rock Desert has also attracted artist collectives like The Generator, an inclusive creative community with artist spaces and tools open for all skill levels and art events including Reno Sculpture Fest and the Off Beat Arts & Music Festival. I could go on about how Reno is attracting some of the biggest names in the tech industry like Tesla and Switch. I could talk about how Reno has invested millions in cleaning up downtown and promoting small businesses, noticeable from the flowers that now dangle from the River Walk, the rise of the growing restaurant and shopping district of MidTown, or the evolution of turning the old post office building into community yoga spaces, bars, and eateries. But I encourage you to see it for yourself instead. And this time, make sure it's the real Reno, not just the time-warped confines from within a casino's walls. If not for yourself, at least do it for Wilbur D. May and Skateboard Joe.